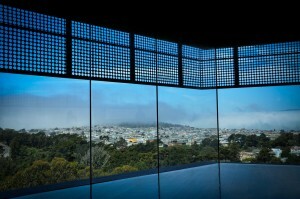 SAN FRANCISCO – When it comes to San Francisco, I have very mixed feelings. Growing up, I loved spending time there and felt it was one of the best places ever. But now, after having seen a bit of what else is out there in the world and having looked at what SF has become, I find it less in a class with New York and more in league with the likes of say, Seattle or Boston (which isn’t a bad thing). Definitely not LA, which for some reason that I’ve never understood, the Northern Cal locals feel is an apt comparison. (Note to San Franciscans: it isn’t). I’m not sure from where exactly my change in attitude stems. Maybe it was the realization that old-money provincialism is the true face of SF (sorry, the city’s renowned liberalism has always been more media than reality). Or – speaking as an architecture buff – perhaps it was that legislation in the late 80’s restricting the building of new skyscrapers (as a way to prevent the “Manhattanization” of SF), which to me was nothing more than a castration of a city that could have been one of the greats. Whatever the reasons, when San Francisco’s “new” M.H. de Young Memorial Museum opened in 2005, I really couldn’t muster much excitement having doubts as to whether San Francisco could get it right. Well, it took me awhile – almost seven years after it opened – but last month, I finally had a look. 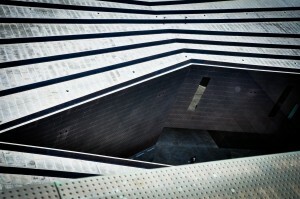 What prompted a visit to San Francsico’s ‘new’ de Young Museum so long after its opening? A few things: First, positive word of mouth about the building designed by Swiss architects, Herzog and de Meuron, whose work I find interesting, if not always likeable (they did the sleek Prada shop in Tokyo, the Tate Modern conversion in London and the hideous 40 Bond Street residences in NYC). 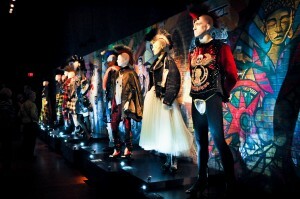 Second, the de Young had a Jean Paul Gaultier retrospective, whose flair for the dramatic is always worth a look. And, third, I had recently “decamped to Cali” (as a friend recently described my temporary move to the West Coast) so it was easily accessible. Now, when it comes to museums, I use a couple of basic criteria for judging whether or not I like the place: 1) the building/space and 2) the art . Put to the test, I’d say the “new” de Young did pretty well on the first criteria and much better than I thought it would on the second one. 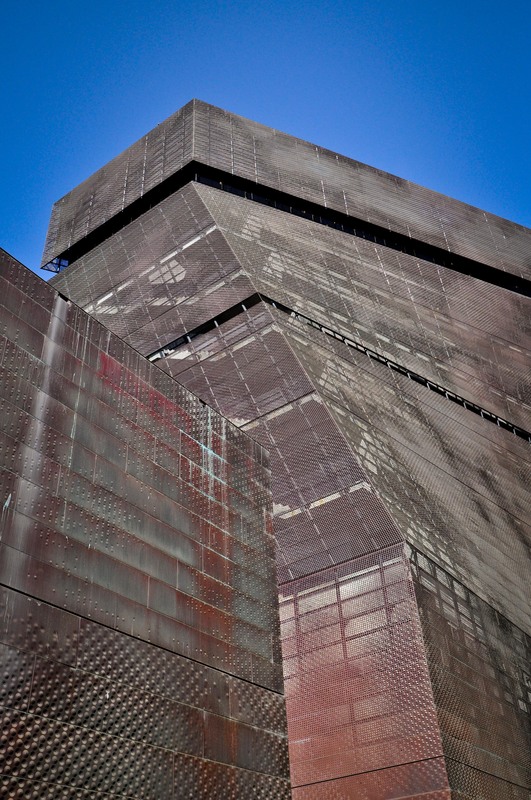 In terms of the building, I kind of fell in love with Herzog and de Meuron’s design. Yes, it does look like one of those cute sandcrawlers from Star Wars (which to me is a positive) but what I found most interesting is how the building’s slightly transparent, color-changing, cooper perforated shell seems to fit in so naturally with its Golden Gate Park surroundings (in fact, much more so than its eco-touting neighbor, the also “new” Academy of Sciences). Moreover, the geometric aspects of the structure, especially the twisting tower (which offers grand views of the city), provide a much-needed, strong, contemporary aesthetic to the city, which arguably has been limited to Daniel Libeskind’s Contemporary Jewish Museum and to a less impressive extent, Mario Botta’s SFMOMA. Size-wise the de Young is the largest art museum in the city, and it’s pretty obvious once you’re inside. There’s loads of exhibition space, all divided into large individual galleries (many with high ceilings and natural lighting), which all makes for an expansive viewing environ that never feels crowded. Similarly, the museum’s layout seems well thought out, especially in terms of crowd flow (a pet peeve of mine at other museums) which often gets sacrificed for the sake of design (yes, we’re talking about you, New York MoMA). As for the art itself, the clear highlight of the de Young’s permanent collection is the Oceanic art (mainly from New Guinea), which is surprisingly quite impressive, both in terms of quality and range – not unlike what I’ve seen at the museums in NYC. Also worth a look is their extensive collection of Anatolian flat-woven kilims (woven blankets from the Anatolian section of Turkey), which are really beautiful and apparently quite rare. They also have a fairly sizable collection of significant American artwork that includes the lovely, A Dinner Table at Night by John Singer Sargent, which I had not seen at any other museum previously. 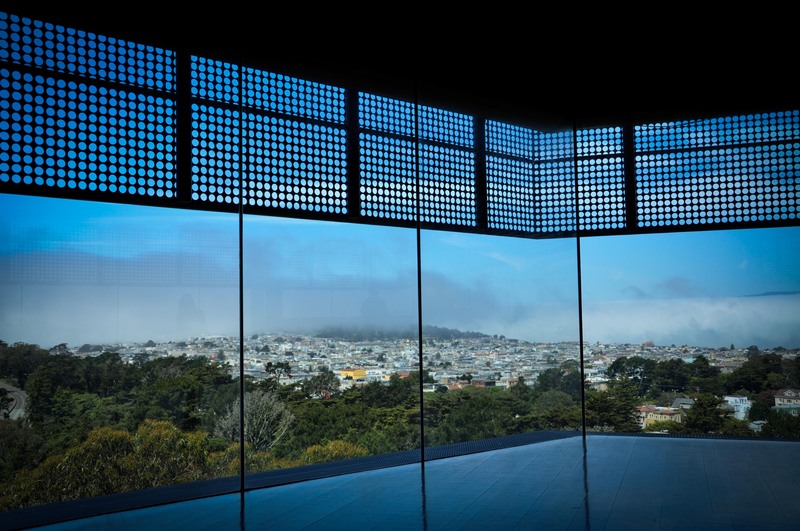 In terms of the de Young’s ability to offer compelling exhibitions, that’s a difficult one to assess, because I only saw the Jean Paul Gaultier retrospective and a small exhibition of photography by Arthur Tress, but they certainly seem to be on the right track. The former, which was actually originated by the Montreal Museum of Fine Art, is a really interesting look into the world of fashion and the imagination and craftsmanship that makes it work. The latter I found more compelling for what it did not show. This is a photography exhibition about the people and civil rights demonstrations in 1964 San Francisco, which features Caucasians, African Americans and Hispanics but not a single Asian, one of the largest minority groups in the city at that time; moreover, the omission wasn’t even acknowledged in the exhibit’s narrative. Could this be another example of San Francisco’s provincialistic tendencies, of media misrepresentation over reality? You decide. 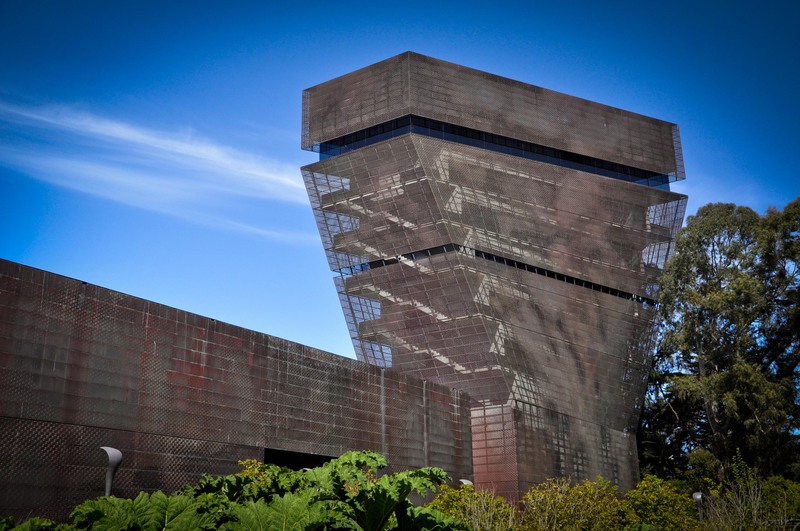 What’s the little thing that makes the de Young Museum worth a visit? 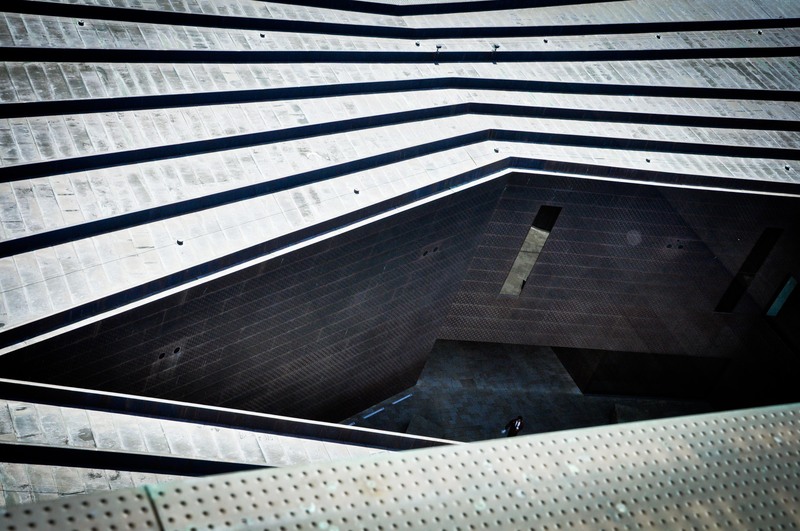 Herzog and de Meuron’s amazing, sandcrawler-like structure and the 360° views of the city from the museum’s tower; the awesome Oceanic wood carvings. Where is it? 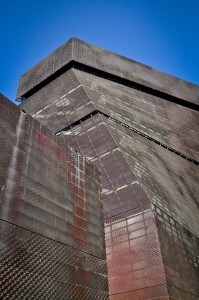 The de Young Museum is located at 50 Hagiwara Tea Garden Drive in Golden Park. From downtown take the N Judah (Muni underground) to 9th Street (at Irving). The museum is a couple of blocks away.